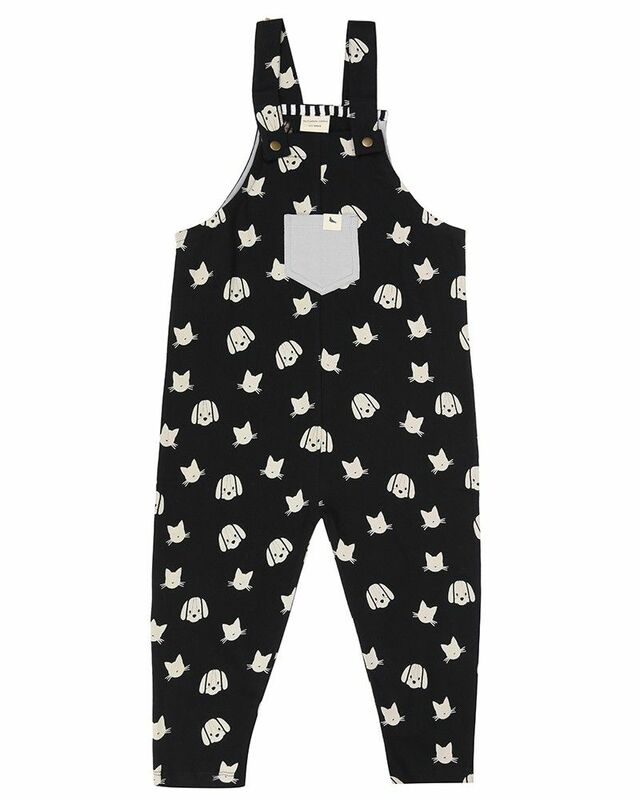 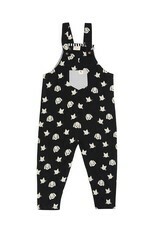 Dungarees - EcoBaby Gear, Inc.
Fast becoming a TurtledoveLondon classic, our dungarees are a contemporary option for boys and girls. 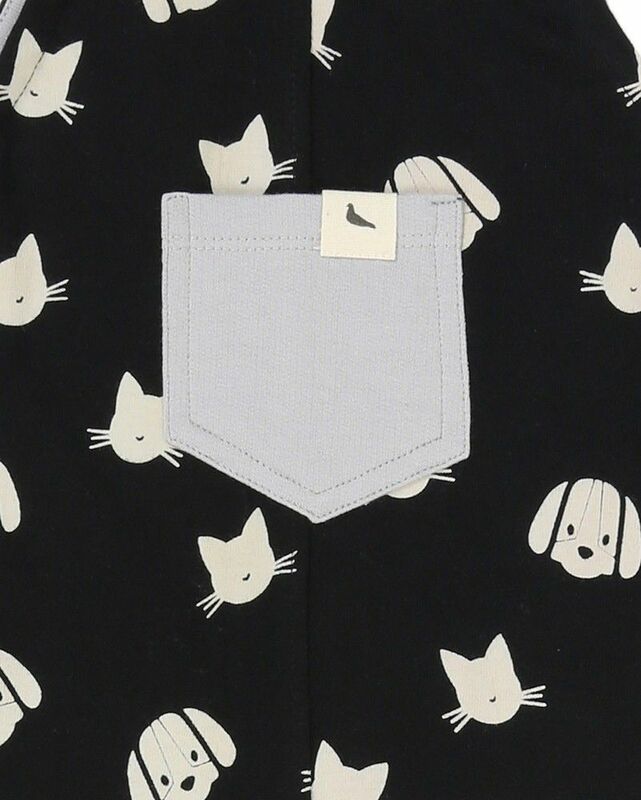 The easy fit shape features a dropped side seam and fuller seat, with tapered legs to finish slim to hem. 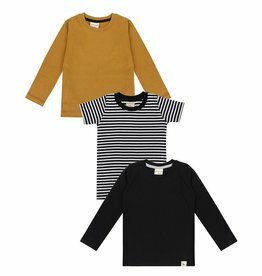 Designed to be layered up over tops or worn alone on warmer days, the hems can be rolled up or down to suit styling preferences or growing legs! 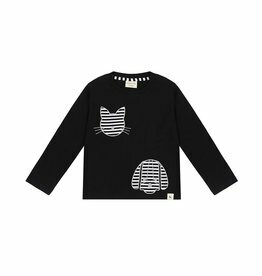 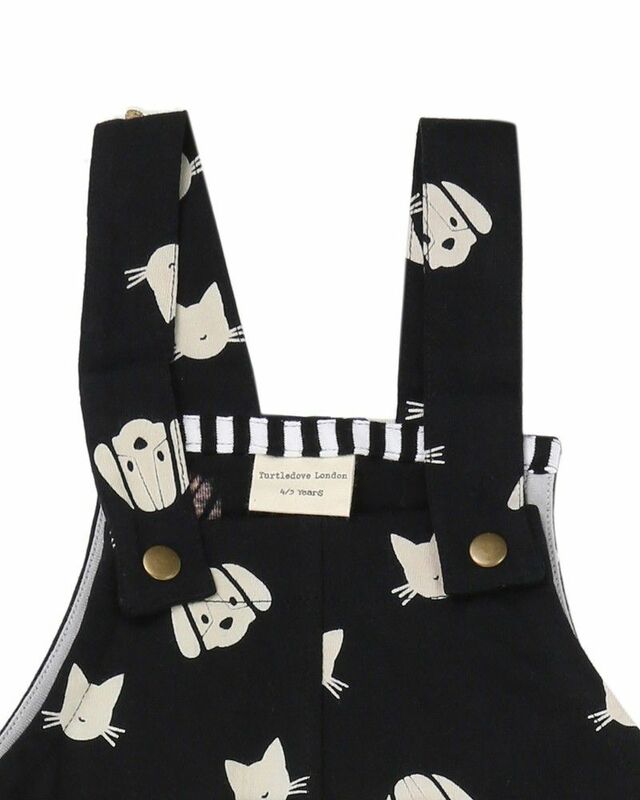 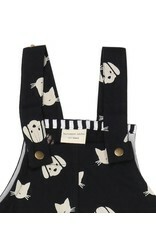 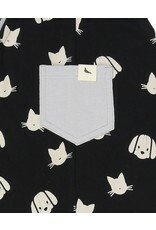 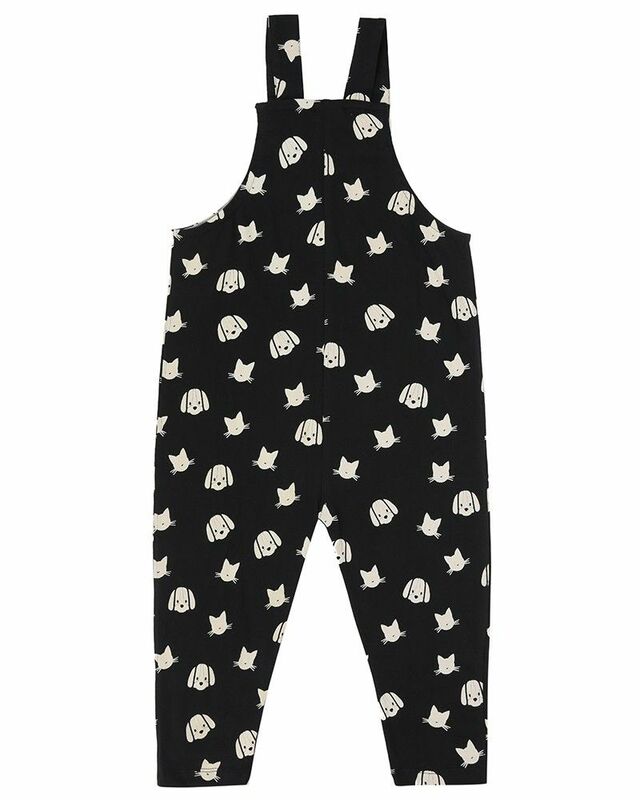 Printed onto GOTS certified organic cotton jersey, this cat/dog print onto black base will be worn the whole year through.